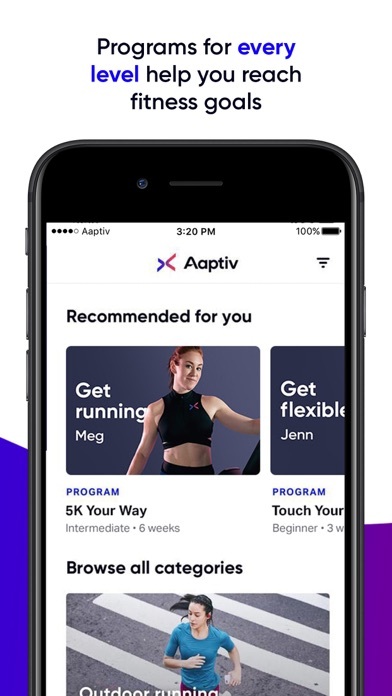 IOS App Developer: AAPTIV INC. This app is so awesome & the trainers are great too!! Just what I needed in replace of the gym & since I have most of the equipment at my home, it’s perfect for me!! I used this app to kickstart my fitness goals. Since then, I’ve lost 25 lbs, ran a 10K where I beat my last time by 16 —-count em’ 16 minutes, and have never felt better. This has something for everyone, and pleasingly surprised that I am enjoying audio guided yoga! 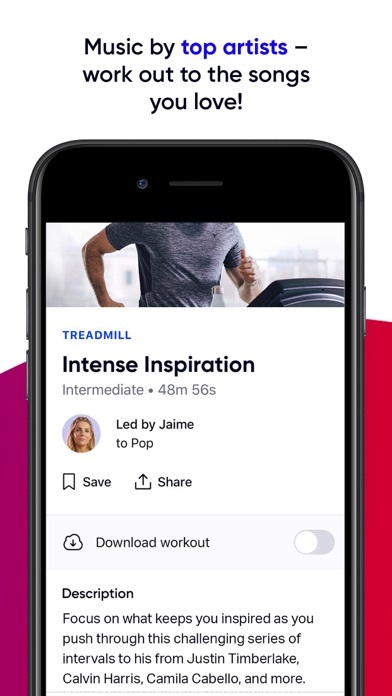 Literally thousands of varied workouts for every type of exercise, level, and music choice. Great filtering options so you can fine tune selections. Can favorite workouts, create workout lists. Download feature is great when you anticipate bad WiFi. Fun interactive social with other users. Most of all the instructors I’ve tried so far are great. They keep up a steady patter of positive messaging and useful instruction. My workouts were getting boring. Now it’s something new every day! Will use a different app after my month is up. I didn’t get the trial like it claimed i would get. It makes you put card info in before you even get to try it out and supposedly you get charged if you forget to cancel before your free trial is up. Not the case. I got charged for a full month right away. I was under the impression there would at least be videos to watch and help follow along with. It’s strictly audio which would be fine if i weren’t new to all of this and knew what i was doing. Lol So I’ve already cancelled my subscription and will be going a different route. I liked the app before when you were not focused on looking at a video to exercise but sometimes I had no idea what the trainer was asking me to do. The new pictures of each move is awesome!!! Perfect addition to a fantastic app! I have been working out my entire life at the gym. However the gym sometimes becomes the same boring routine. Well I am now having hard and fun workouts while being pushed by a trainer. It is the next best thing to hiring a personal trainer and we all know how expensive that can be. Now I actually look forward to going to the gym and my body is getting challenged with all the different classes. Great workout for a reasonable price. I love this app. The trainers are super encouraging and I find myself actually smiling as they coach me. I appreciate the videos for strength moves they added and hope they do it for yoga too. Fraud company. Unless you are ready to be charged the full amount no matter if you cancel, this app is for you! Also, good luck trying to get in touch with customer service. There is none. If you like yoga and you think this app will help you archive you goals; you are wrong. The app do not offer any visual help. In the specific case of yoga, you won’t understand half of the movements or positions they propose in a session. 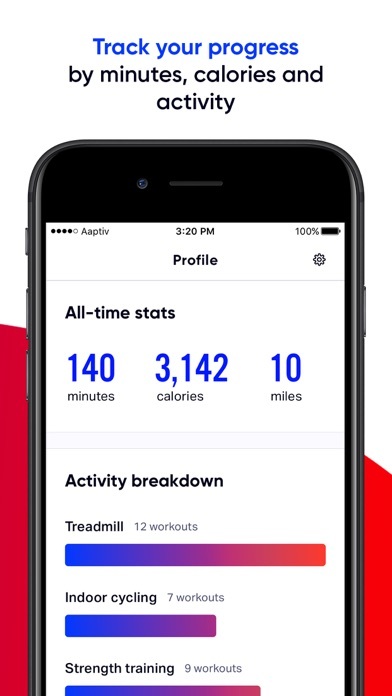 Latest update now includes the workout's movements in the workout summary, further making this such a great app and investment in one's health. 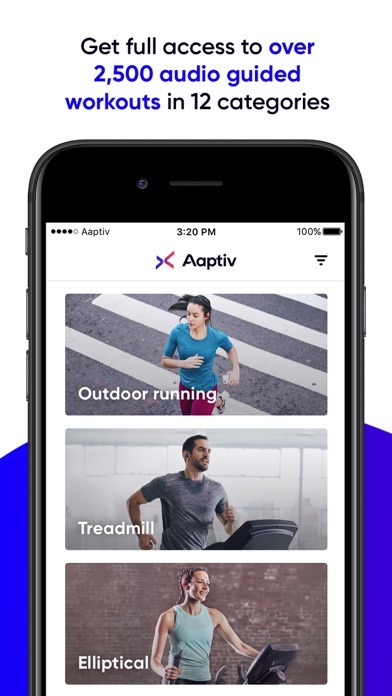 More IOS Apps by AAPTIV INC.